Our SEO campaigns average a 553 percent increase in organic search visits. Any serious business website should have an SEO strategy. A search engine friendly site can be understood by search engines. But, there is no substitute for a well-crafted plan that achieves your long term SEO objectives. How do you get one? An experienced Atlanta SEO consultant with a proven record of providing consistent results. A professional who works with local Atlanta business and national brands. A team that specializes in SEO and makes it work with other digital marketing channels. We do one thing really well: search engine optimization. We work with companies everywhere but love serving the local community with Atlanta SEO. Atlanta is special to us. We're a growing Atlanta SEO company and have recently expanded our consulting services to local small businesses. Our clients average a 553% increase in organic search visits from our SEO consulting campaigns. We offer ongoing and one-time engagements to Atlanta and beyond. Get "lift for the good guys!" Let me put it another way: It’s my job to help your company love SEO as much as I do. Companies that HATE SEO (and it’s okay if you’re one of them) usually just have a bad relationship with a certain search engine. And, like any relationship, a wise outside voice can help put things back on track. And this is a relationship worth saving. Search has the power to connect your company with the people who need your product or service when they need it the most. SEO can position your site to show up at the various stages of the customer buying cycle and make your company grow. If you had a choice between SEO and guaranteed SEO, you’d always choose guaranteed, right? With any service, the guaranteed option is always better, right? 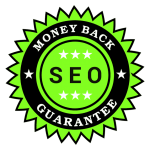 Before we plunge into what guarantees we should expect out of the SEO Industry, let’s look at ranking guarantees that are, and are not, provided for in SEO. Have you ever seen a lifetime rankings guarantee? 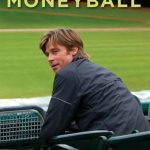 A money back rankings guarantee? Forecasting SEO: How Do I Determine the Value Of A Keyword? It’s REALLY hard to know how valuable a new keyword is before optimizing for it. 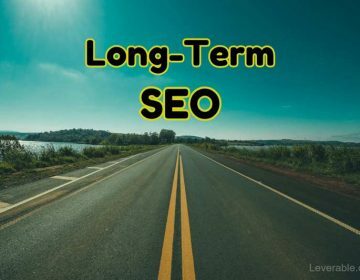 …metrics and tools that forecast monthly traffic, number of leads and revenue a set of keywords can bring to your business based on the historical performance of your site in Google. SEO Consultant vs. Agency: Which Is Best? What Are The Best SEO Pricing Methods? ranjot singh on Forecasting SEO: How Do I Determine the Value Of A Keyword?